When they start their companies, many entrepreneurs create a business plan to serve as a blueprint for the structure and organization of their businesses. Unfortunately, once the business has been successfully launched and is up and running, owners often put the business plan on a shelf where it collects dust and is soon forgotten. This is a big mistake, because a business plan can do more than just help launch a company. A business plan should be a living, breathing document that is revised and updated to reflect the changes that occur in your business. Over time, your business plan may morph into more of a strategic plan that can be used to guide the big-picture direction of your company, including your mission, vision, values and goals. So what is the difference between a business plan and a strategic plan? A business plan is usually more tactical — it includes detailed tasks and “to-do’s” that must be followed to accomplish certain goals and objectives. A strategic plan sets out those goals and objectives at a high level. The strategic plan will begin with a mission statement and is likely to include an analysis of your company’s strengths, weaknesses, threats and opportunities (SWOT). It will set broad objectives with respect to products and services, markets and business philosophy. It also explains how decisions will be made about resource allocation and how opportunities will be analyzed and narrowed down to the ones that offer the most potential for your business. Strategic management, meanwhile, encompasses all of the ongoing activities and processes used by your company to coordinate and assign resources to achieve your mission and goals. And strategic execution is the transition of the business plan into the operational and action items of strategic management — or in other words, the implementation of your strategy. 1. Being less reactive and more proactive — Instead of constantly reacting to things that you cannot control, you can proactively set the best course for your company’s future. 2. Making better decisions — Having a concrete, written plan in place will provide a framework that guides decision making for you and your executives and managers. 3. Aligning employee goals with business goals — Everyone in the organization will be moving in the same direction, instead of pulling against each other with competing goals and agendas. 5. Staying focused on the long term — It is easy when running a business to adopt short-term thinking, since the current problems and opportunities seem to be the most pressing. A strategic plan will help you keep your eyes on the long-term prize. Use your business plan as the starting point for your strategic planning exercise. Based on this, determine the current state of your industry and where your company is now in terms of your market position (leader, laggard or middle of the pack?) and progress toward the goals outlined in your business plan. In other words, test your business plan’s relevancy by starting with a review of your company’s original mission statement and conduct a SWOT analysis. Then define your priorities for moving forward to accomplish your key goals and objectives. You’ll also want to analyze both your employee and customer bases as part of your strategic planning initiative. With regard to employees, management guru Jim Collins wrote in Good to Great: Why Some Companies Make the Leap … and Others Don’t that you need to “get the right people on the bus, the wrong people off the bus, and the right people in the right seats.” As for your customers, perform a profitability analysis to determine which customers are earning you the most and least money. Your strategic plan should detail how you will attract and retain more of the former and fewer of the latter. Based on all of these factors, you can strategize how your company will grow in the months and years to come. Unplanned growth can be worse than no growth at all, since growth will lead to a whole new set of challenges — perhaps stretching your business to the brink and beyond. Therefore, use your strategic plan to lay out a detailed, step-by-step process for growing in a controlled and profitable way that does not tax your resources beyond the breaking point. An outsourced CFO services provider can offer valuable assistance in your business and strategic planning processes. This includes gauging your company’s current state, setting realistic goals and objectives, determining priorities, allocating resources, analyzing your employee and customer bases, and conducting sophisticated financial and operational analysis. Your business plan can do more than just help you launch the company. It should be a living, breathing document that is revised and updated to reflect the changes that occur in your business, eventually morphing into a big-picture strategic plan. There are many benefits to be derived from business and strategic planning, including better decision making and resource allocation and alignment of employee and business goals. 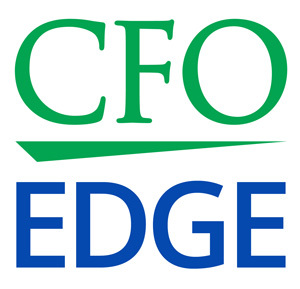 An outsourced CFO services provider can help you with your business and strategic planning.